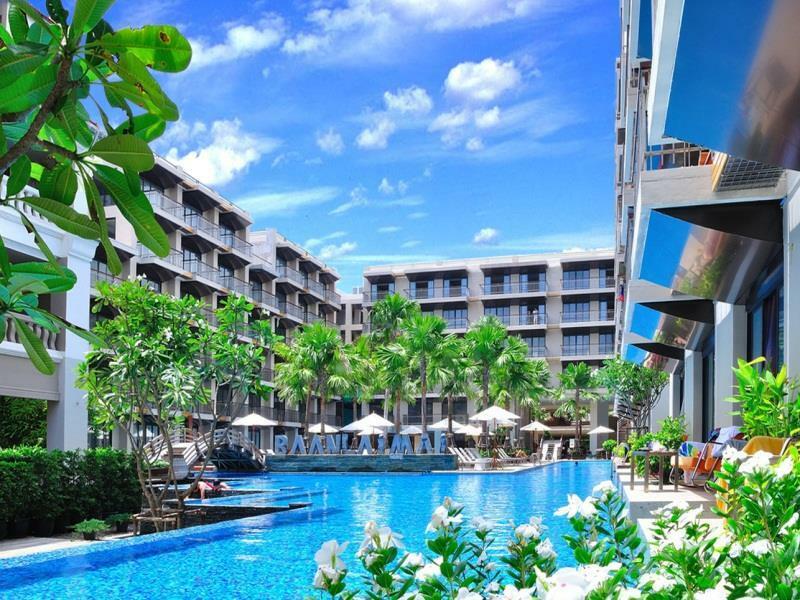 Baan Laimai is a stylish beach resort on the west coast of Phuket in Thailand, a country renowned for its natural beauty, fantastic climate and stunning architecture. Baan Laimai Beach Resort is nestled opposite the glittering blue Andaman Sea and famous Patong Beach’s silky, golden sands, from which guests are only a short walk. 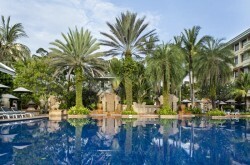 Phuket International Airport is located 40km, an easy 50-minute drive away from this welcoming resort. Baan Laimai Beach Resort is perfectly situated close to the lively entertainment district, with a dazzling array of bars, clubs, and cabarets for guests to choose from when enjoying the unforgettable nightlife. During the day, the beach is ideal for a wide range of activities to suit all the family: children can splash about in the sea, older ones can enjoy a selection of water sports from jet skiing to parasailing, whilst those looking to keep in shape can jog along the scenic seafront. In addition, beach massages can be arranged, as well as other beauty experiences to rejuvenate and restore. Guests that explore the island away from the beach will be treated to Buddhist temples, waterfalls, a tiger-petting park, go-karting, and zip-wires over a jungle canopy. As dusk falls, a majestic sunset bathes Patong beach in a golden glow, making Baan Laimai Beach Resort a heavenly escape for couples looking for a romantic getaway. At the heart of Baan Laimai Beach Resort is a sparkling lagoon-sized swimming pool, offering the perfect place to cool off after a day of sight seeing, or recharge with a delicious cocktail at the swim-up pool bar. Guests need not venture out of the hotel for a range of excellent dining options, with Thai, Western cuisines and a sumptuous fresh seafood menu straight from the Andaman sea among the choices available at Baan Laimai Beach Resort. Further resort facilities include a well equipped, modern fitness centre, a bar, and business centre so that guests who are required to work whilst away can do so comfortably and with all their needs catered for. All accommodation at Baan Laimai Beach Resort features complimentary Wi-Fi, satellite and cable television, and air conditioning. Guests can choose from Superior rooms, Deluxe rooms which boast a terrace and city view, Deluxe Pool View rooms with a balcony, Deluxe Sea View rooms also with a balcony, and Deluxe Pool Access rooms which provide direct access to the dreamy lagoon-sized swimming pool. Guests’ rooms also have a mini-bar, tea and coffee making facilities, complimentary bottled water and a hair dryer and baby cot, making all stays comfortable, easy and restful. Many rooms are decorated in the Thai style, with authentic wooden floor tiles and vibrant soft furnishings which reflect Baan Laimai Beach Resort’s cultural surroundings. Absolutely sensational.